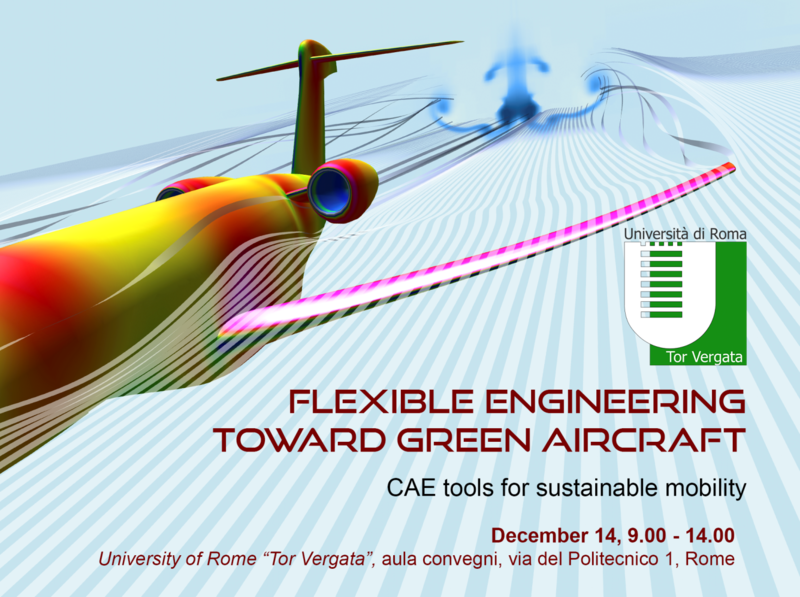 Design Methods is supporting the University of Rome “Tor Vergata” in the organization of the workshop titled “Flexible Engineering Toward Green Aircraft” which will take place in the engineering conferences hall on December 14th. The event comes as conclusion of two EU funded research projects in which the University of Rome “Tor Vergata” was involved and in which Design Methods contributed with technical activities: RBF4AERO and RIBES. The aim is to present the status of research in the aerospace field and to highlight the recent achievements in analysis and design methodologies adopted in the aircraft design process. Professors and engineers active in EU research programs, from several academic, industry and research institutions, will provide an overview on topics as Aeroelasticity, Aerodynamic Robust Design and Shape Optimization. The participation is free but people interested in attending the event are kindly asked to register or to contact professor Biancolini.